As a not-for-profit program, our ecoTrust is always looking to facilitate volunteer opportunities for a wide variety of interests and skills that add value to our program and to your CV. Get in touch to learn more about how we can work together! 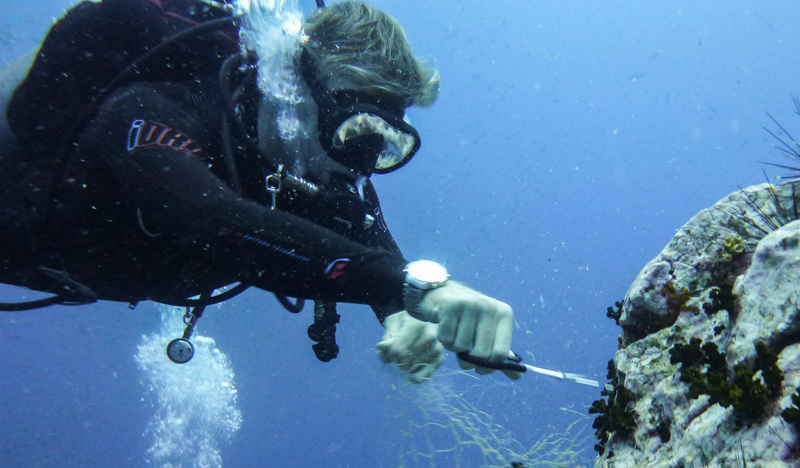 Divers: If you have participated in any of our ecoDiving programs, there may be opportunity for you to continue to work on projects explored in your training, including participation in surveys, data collection, net removal and clean up dives, water quality analysis, coral restoration, and more. Speak to your ecoDive instructor or contact us to learn more. Travelers with skills in areas like videography and production, marketing and outreach, web design, writing, engineering, and more. 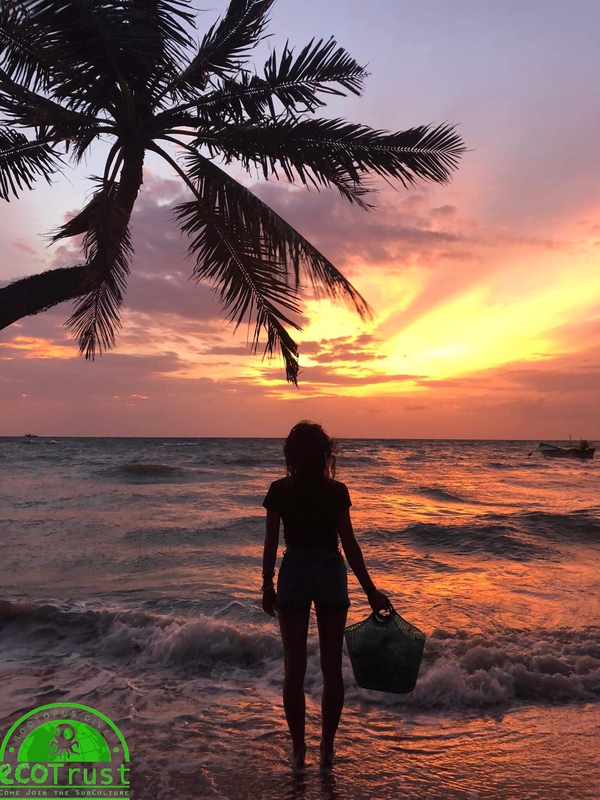 Perfect for those travelers on Koh Tao for a bit and want to give back, improving the local environment with your skillset during your stay. Students and professionals eager to develop their skills toward working or volunteering in the environmental nonprofit field. Only on Koh Tao for a few days? 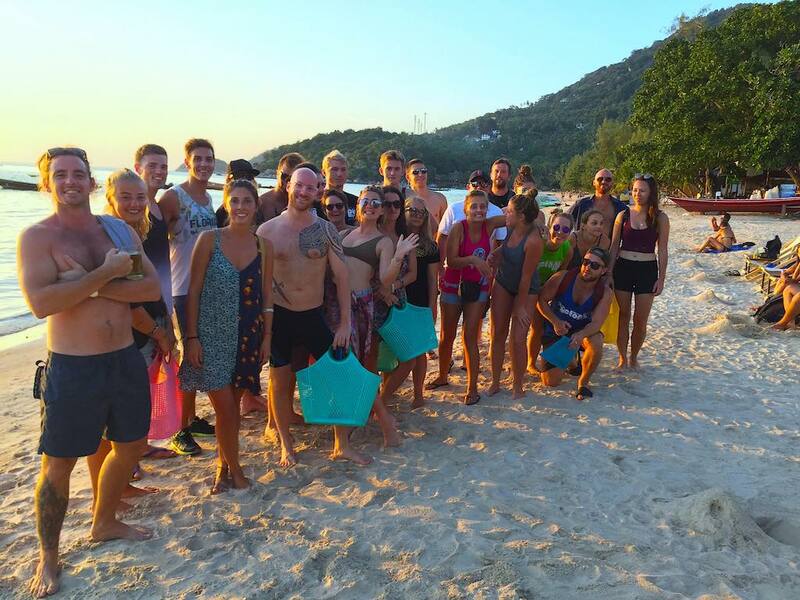 Join us at our weekly beach clean every Friday at 5:45PM at Victor’s Bar – right on Sairee Beach by Roctopus Dive. Learn about our marine pollution data collection program and our contribution to the Ocean Conservancy’s global database, and end with a free beer with our ecoTrust team courtesy of RAID! You may even be able to contribute to the ecoTrust remotely, get in touch to learn how to volunteer with us from home! Based on your university requirements, personal project scope, or individual goals, extensions with unlimited diving are available. You can also choose to add your Divemaster Training onto your program at a discounted rate!